You probably won’t be seeing the Hesla Model S just yet, maybe somewhere in the near future we will. If you’ve been dreaming of an electric/hydrogen powered Tesla Model S, dream no more. Project Hesla is exactly that. A company in the Netherlands has doubled the range of the Tesla Model S by adding hydrogen power. 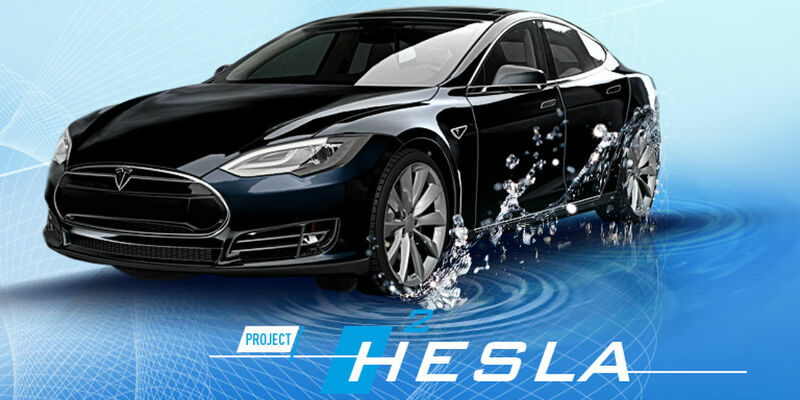 The Hesla adds a second power supply to Tesla’s electrical system and uses a tank of hydrogen as a second fuel source. The Holthausen Group has begun testing the Hesla and say it’s range is up to 620 miles. That is a further range than the Tesla Model S and could prove beneficial to many long distance driving trips. It’s important to note that Tesla was not involved in this project so the company had to buy their own Tesla for the project. Holthausen says it wasn’t easy adding a second power source to the Tesla but after a lot of work, they managed to do it. Don’t plan on tricking out your Model S with a hydrogen option anytime soon, however. The conversion runs nearly $60,000, according to The Drive, so a hydrogen-supplemented P100D would set you back more than $200,000. Then there’s the problem of filling up the tank. As Futurism notes, there are only 39 hydrogen fueling stations in the U.S., with the vast majority located in California. Although hydrogen fuel cells are currently prohibitively expensive, industry executives predict that hydrogen-powered vehicles will be as cheap as hybrids in the near future. So while you won’t be seeing the “Hesla Model S” just yet, maybe somewhere in the near future we will. It’s certainly a fun project to talk about and learn from. Companies like Holthausen Group often drive others to think and innovate so it is a good thing. What do you think of this project? Let us know in the comments below or on Google+, Twitter, or Facebook.